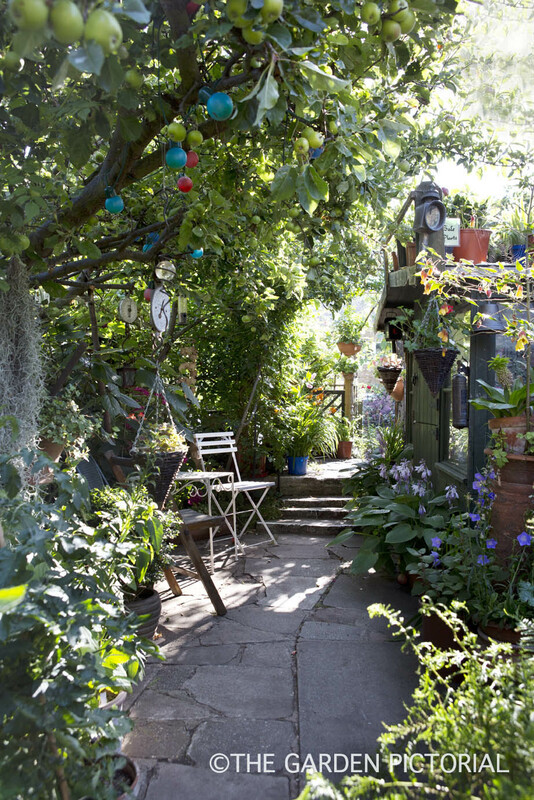 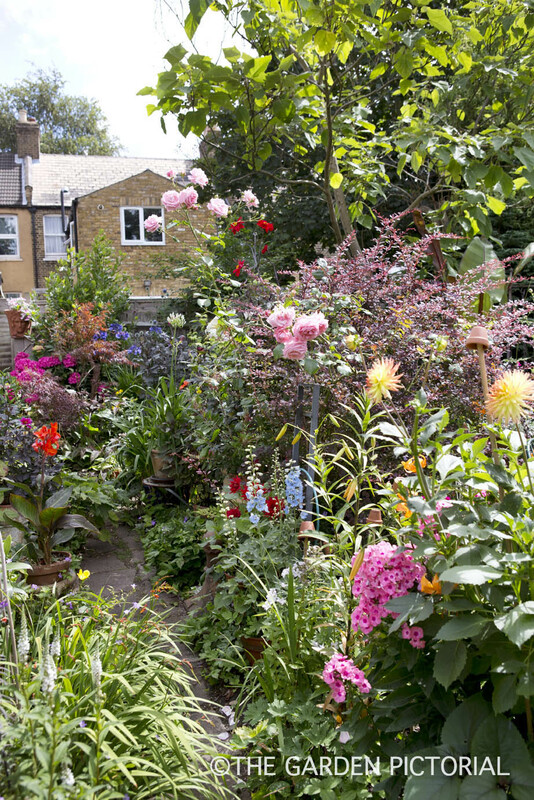 An abundance of hanging baskets, climbers, shrubs and fruit trees draw you into this deceptively large garden in East London. 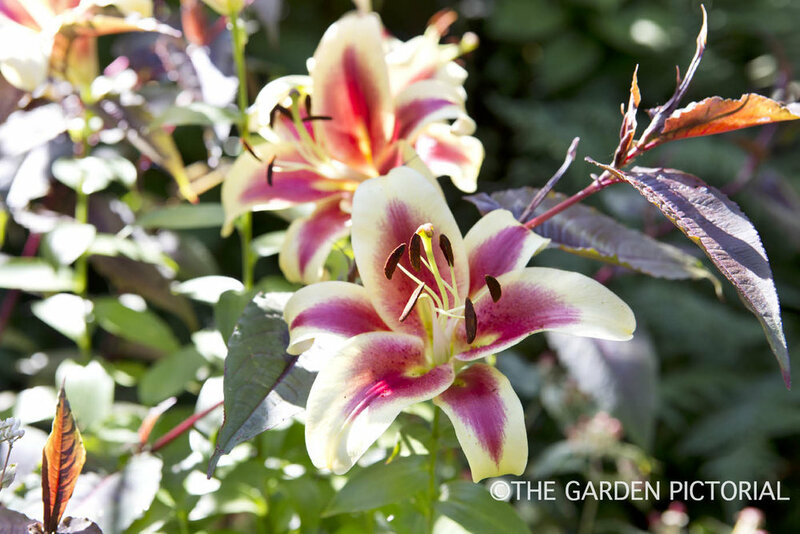 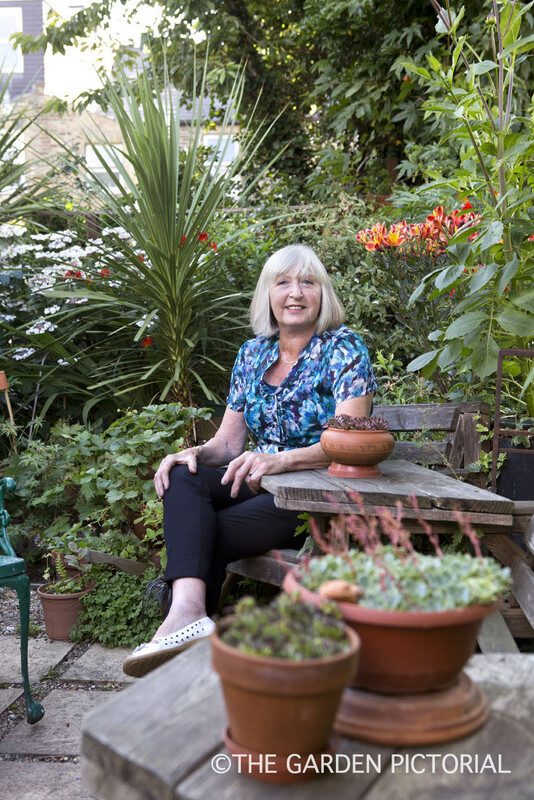 Owner and passionate plant collector Janet Daniels started the garden when she moved there with her husband in 1968, but it was not until her children had grown up and moved out that the garden really took off. 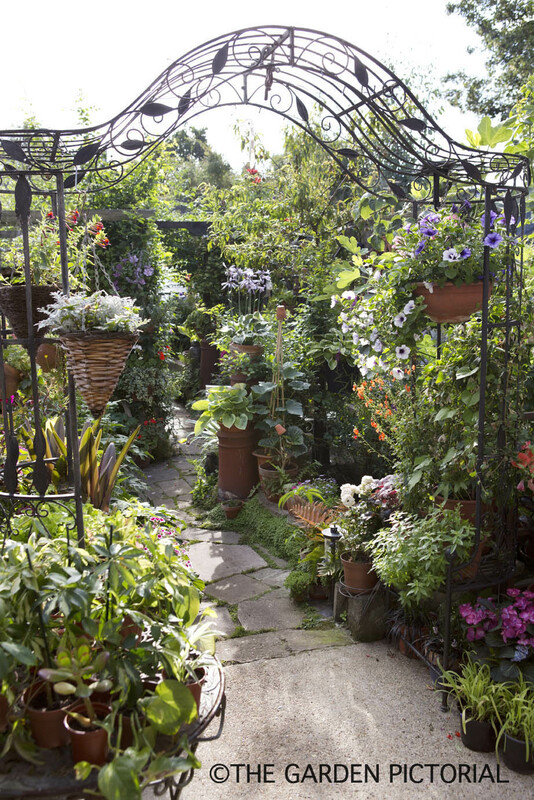 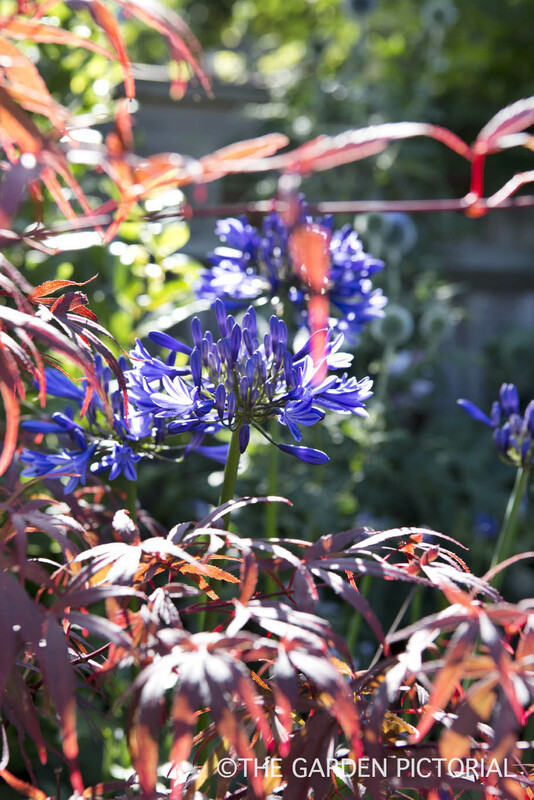 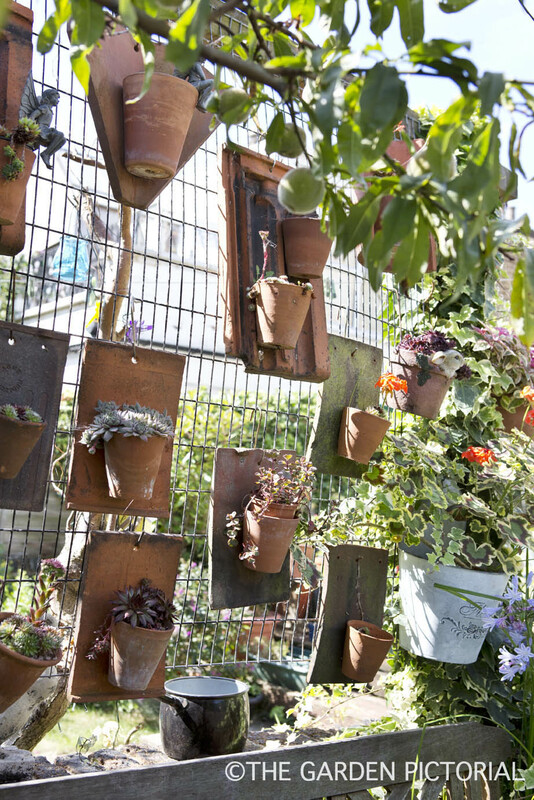 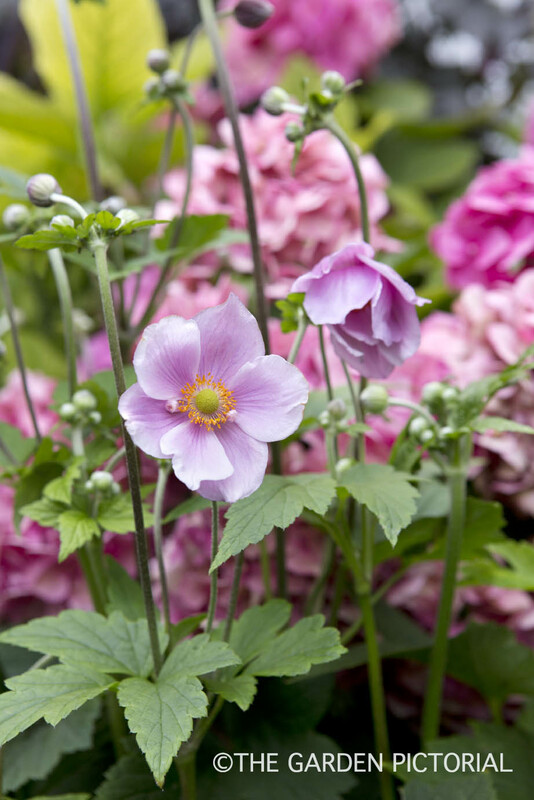 This wonderful collection of plants is largely made up from cuttings, gifts from friends, impulse buys at one of the shows or chance encounters at a bargain shop. 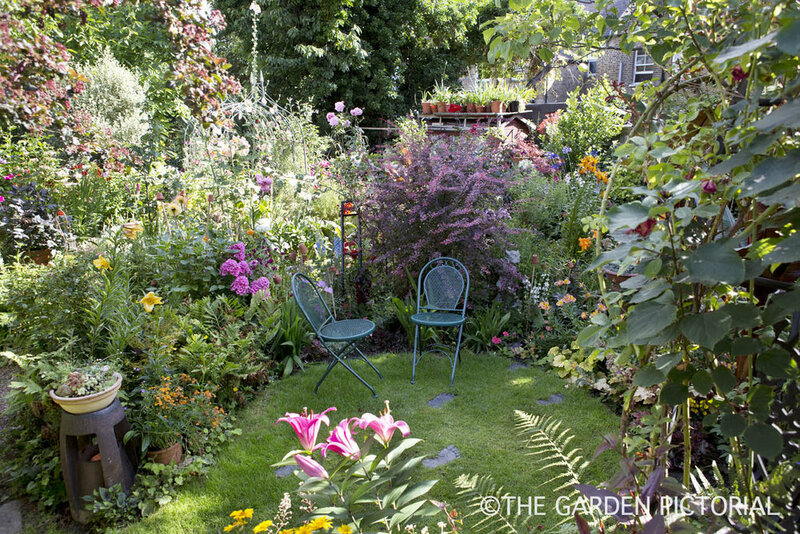 The garden increased in size dramatically 15 years ago, when Janet was given permission by a local housing association to take over a derelict strip of land at the back of her garden, which she turned into a 'secret garden', a wildlife friendly haven and also place of calm for Janet and her family and friends.